For this reason, Offshore Bank Accounts are used legally by millions of corporations and savvy small business people who maintain their Privacy and Protect their Assets. Anyone can safely follow their example as long as they are not criminals or government officials who defrauded public funds. 1. Operate your businesses from a country that is friendlier to your industry than your home country. 2. Use tax laws that allow the repatriation of intellectual or physical assets with the objective to reduce taxable income. 3. Ensure that, after death, their estate will be transferred to their spouse, offspring and other heirs without double taxation. 4. Be Protected from illegal asset forfeiture or government overreach. 5. Have a plan B in case of government, currency or bank failures. 6. Avoid unscrupulous predators who conspire with opportunistic lawyers to initiate frivolous, costly lawsuits. 7. Prevent Identity theft. Privacy has become of paramount importance as government databases are at the mercy of hackers who are already compromising the personal financial information of millions of people. 8. Maintain business operations in case of capital controls and other restrictions. 9. Operate in Countries with more demand and less Competition for your Goods and Services. 10. Relocate to a country where your income and resources will enable you to enjoy higher levels of satisfaction and a better standard of living. 11. Obtain Residency and a second Passport in a country that treats you better. 12. Live where the weather is nice and most people are fun loving. An Offshore bank account is kept in countries with stable, debt free governments and secure banking centers that enforce privacy protection laws. Offshore bank account are operated by Offshore companies formed in countries with low or no taxes and privacy protection for law abiding entities. 1. Is it Moral Avoid Paying Taxes? THEN yes, it’s immoral to avoid paying taxes even if it’s legal. MEANWHILE, in Panama we only pay a little bit of tax for the income that is earned within Panama’s borders. We don’t pay Tax for income made outside of Panama. 2. Is an Offshore Bank Account too expensive to set up? Our fees for assistance in opening an Offshore Bank Account start from $500. 3. Is it too difficult to understand how the Offshore industry works? Before making any decisions, you will work with a Client Relationships Manager who will answer your questions, help you plan the best strategy for your special circumstances and direct you to other reliable sources for your accountant or lawyer to verify the integrity of your decision. Check the links in the description below to understand how the CRS Automatic Exchange of Information works and you will come to a conclusion when you feel comfortable. 4. Won’t the government find out since they spy on everybody? 5. Why go through all the trouble if I have not done anything wrong and have nothing to hide? 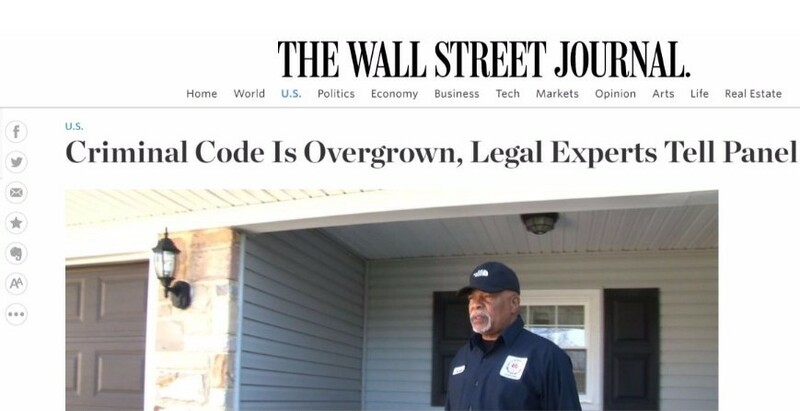 The Wall Street Journal quotes the US Attorney General saying that “There are about 4,500 criminal statutes. This is in addition to over 300,000 other regulations that don’t appear in the federal code but nevertheless carry essentially criminal penalties including prison. So the vast array of traps for the unwary that lurks out there in federal criminal law is more extensive than most people realize. 6. 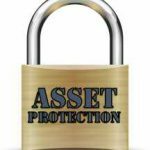 Why worry about protecting my assets if I don’t make enough money to worry about saving on taxes? During our times of rapid changes and economic uncertainty, maintaining an offshore bank account is more about having a plan B and expanding your business internationally than simply saving on taxes. 7. Why not wait and do it later? Historically, during the economic collapses in Germany, Russia, the UK, Argentina, Venezuela and Cyprus, people who lost everything, came to realize that a year too soon is better than one day late. 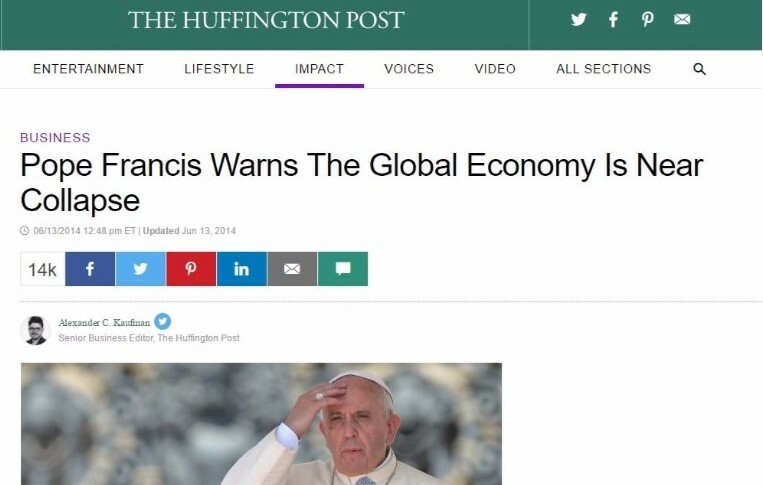 The Business section of Huffington Post is quoting Pope Francis: “We discard a whole generation to maintain an economic system that no longer endures, a system that to survive has to make war, as the big empires have always done. But since we cannot wage the Third World War, we make regional wars. And what does that mean? That we make and sell arms. And with that the balance sheets of the idolatrous economies — the big world economies that sacrifice man at the feet of the idol of money — are obviously cleaned up..
FROM THE COMFORT OF YOUR HOME?